5 Modern Study Rooms To Die For! These days, more and more people are starting to work remotely. 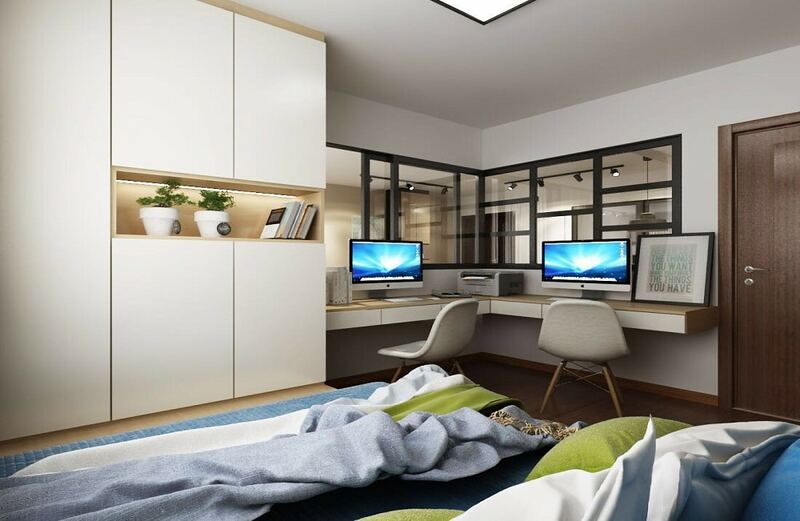 This preference for working from the sanctuary of their homes has resulted in the addition of a study room as a major part of HDB designs. 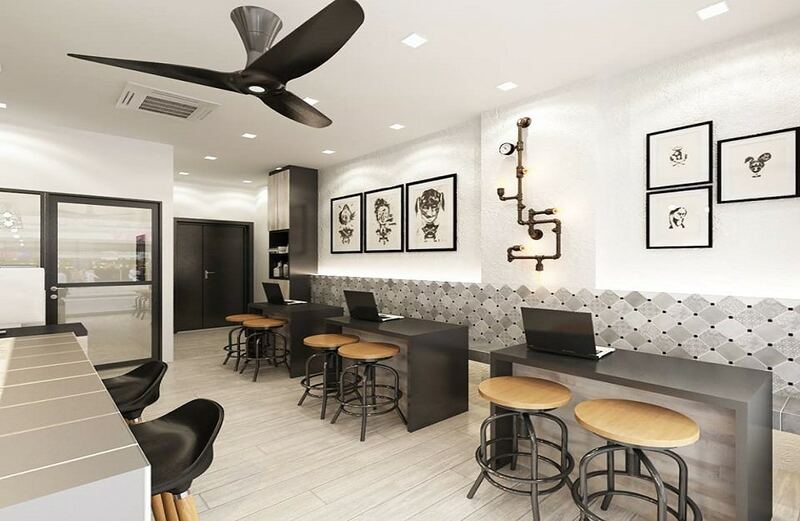 People want a home office that is stylish, trendy and clean – someplace where they can concentrate on their work without compromising on the aesthetics at all. 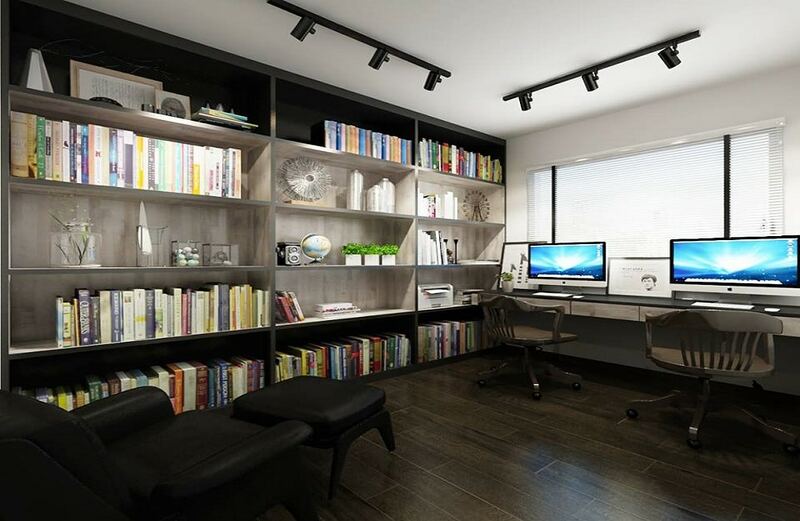 So further, we’ll be featuring 5 modern study room ideas to die for! If floor to ceiling shelves are your aesthetic, then you must definitely consider this study room style. Done in rich wooden textures and accents, it features a lot of room for your books and files. It also holds enough room for a reclining seat to take a rest and a double study desk for when you need work partners to catch up with your work. 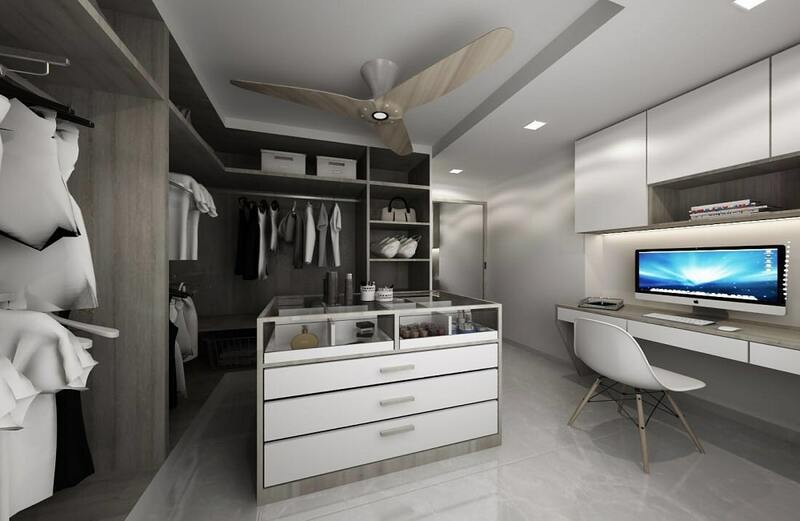 If you’re short on space and want many things emulated in your home design at once, then it is not a bad idea at all to merge the study with your walk-in closet. It’s like hitting two birds with one stone. 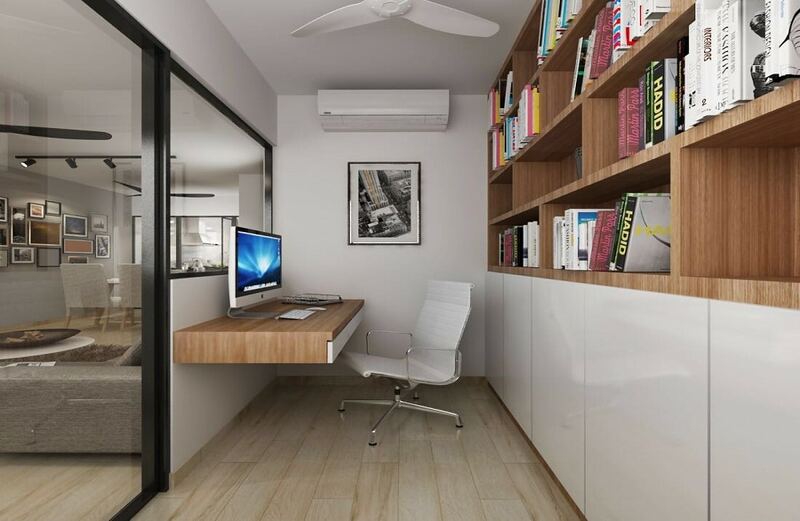 You’ll get to have a trendy, fashionista style wardrobe and a quiet place to concentrate on your work all at once. If you often have your team working from your home, and a study room with a single desk is simply not enough for you, then having a cluster of work desks in your home is not a bad idea. You’ll simply have to utilize on your circulation space and manage the proportions and size of the furniture to make this setting work. If you’re the kind of person who appreciates some peace and quiet while working, then this idea is for you. All you need is a tiny space to make your work retreat. Try to go for in-built furniture to conserve the integrity of the small space. And instead of going for executive style furniture, you can make a suspended work desk work for this kind of a setting. Many people like to work from their bedrooms, and this idea is a great one for them all. Having a corner two-some work desk can conserve a lot of space, make for an effectively isolated office nook, and help you share the desk space with your partner at the same time. 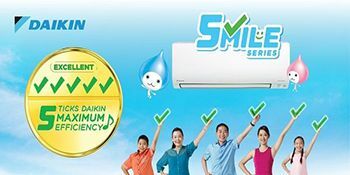 It’s a win-win idea and works best for married couples and partners.